For most Australians road, rail, and aircraft noise is the most important neighbourhood noise issue as it affects a high proportion of the population. However, other neighbourhood noise such as air conditioners, TVs and sound systems, burglar and car alarms, music, and dogs and other animals are becoming an increasing problem as more and more Australians are living closer to their neighbours. Noise abatement, or noise control, refers to the building strategies used to reduce the effect of noise pollution to a property. Noise enters a property through a variety of means, including the roof, eaves and ceiling, windows and doors, through gaps around and under doors, windows and frames, and through air vents and exhaust systems. 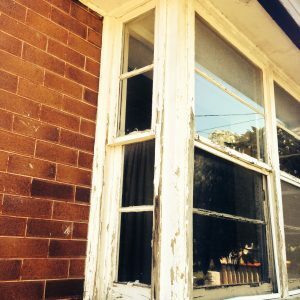 Full replacement of existing windows with high performing acoustically tested windows glazed in either laminated, acoustically rated glass or double glazed units manufactured in either aluminium or timber. The style and configuration of the windows can be in keeping with the existing architecture while also designed to maximise the acoustic benefits. 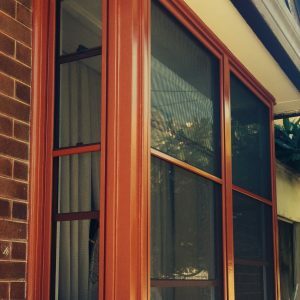 Secondary Windows – Installing a second window behind or in front of an existing primary window to create an air lock. This type of installation has considerable acoustic benefits. Re-glazing of existing glass with a high performance acoustically rated glass. New glazing rubbers and roller carriages are fitted to ensure smooth operation of the existing window frames. Provision of ventilation systems in noise treated areas to provide fresh airflow and better air quality. Bringing fresh air into the building will also help to mitigate against existing mould and damp issues that the building may suffer. Installation of wall, ceiling and under floor insulation suitable for existing structures. Consideration of the latest insulation products and installation techniques allows us to design and tailor the best acoustic solution within the constraints of the building design. Noise barriers such as barrier walls and courtyard walls, which can be constructed from materials in keeping with the appearance of the property, such as modular walls, face bricks and block walls for rendering. Installation of solid timber hinge doors with acoustic seals. Various door types are available with a range of acoustic glazing configurations to suit. Master Building Solutions is highly experienced in noise reduction remedies and will expertly tailor a noise abatement solution to suit your needs. Please do not hesitate to call the team for a no obligation free quote. The noise reduction results are excellent. All your tradesman were extremely efficient and capable. All tradesman worked extremely hard and long hours to get the job done. The painting is far better than any painting we have had done before. Excellent service at all stages of the project. I was always kept informed of the program. All the people i dealt with were friendly, reliable and keen to ensure i was happy. Well done and thank you to all involved. Your administration staff and site foreman were professional and friendly. The window installation team were fantastic, very efficient and they take pride in their work.